Portable asphalt plant for sale is generally small type, about 10t to 80t, which is very suitable for small and medium-sized asphalt production, if you produce asphalt for your own need, while, if you want to produce asphalt as a commercial, you can invest a stationary asphalt mixing plant. 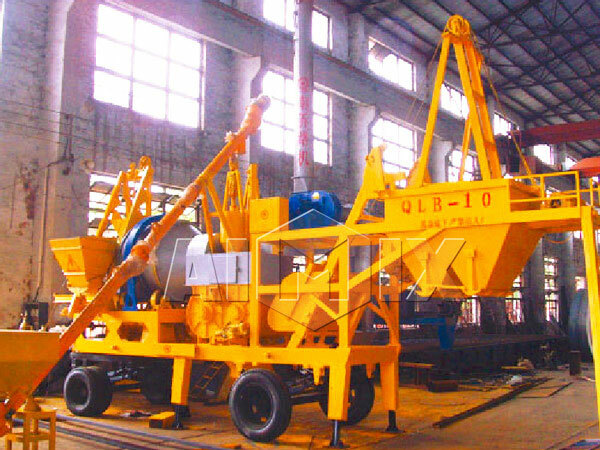 We AIMIX GROUP can provide users with small portable asphalt plants for sale of QLBY-10, QLBY-15, QLBY-20, QLBY-30, QLBY-40, QLBY-60 and QLBY-80. 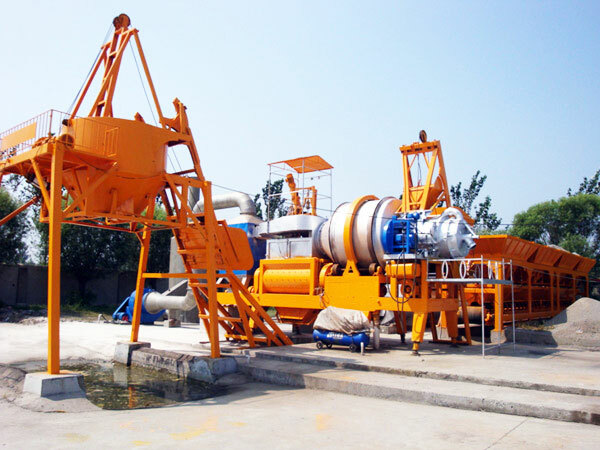 Next, I will tell you characteristics of small asphalt plant. 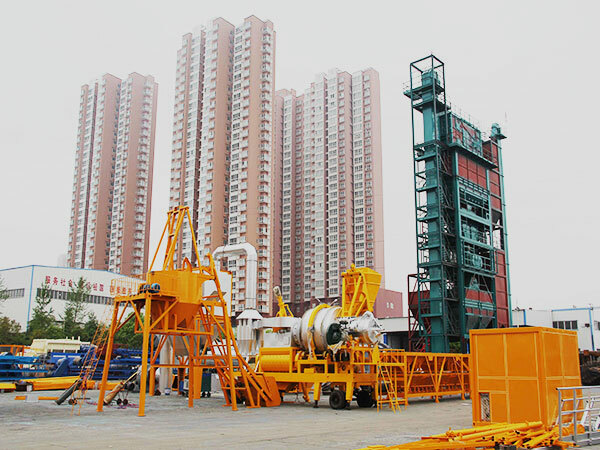 Selection of portable asphalt plant for sale should consider the effect of surrounding residents and environment, and also economic rationality. Therefore, when you think about site selection, you need to take followings into consideration. 1. Industrial noise and dust. Site should be away from resident and ecological areas, minimize the noise and dust. 2. 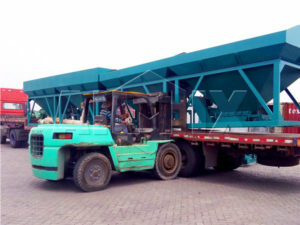 The distance between portable asphalt batch plant for sale and paving construction site should be reasonable, preferably in the middle of construction section, easy access will help save shipping cost of finished products and improve the economic benefits. Meanwhile, don’t forget to consider whether water and electricity source is convenient. 3. 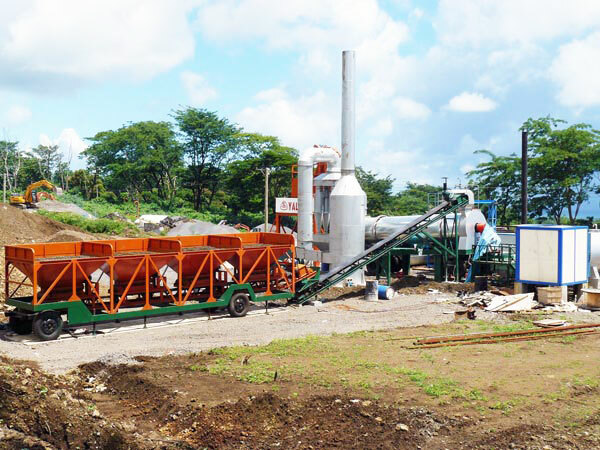 Choice of site should meet placement of portable hot mix asphalt plant for sale, storage and running to provide enough space. Water content of aggregate should be less than 3%, water content of powder should be less than 1%. After the production, temperature of finished product is about 120-170 degree centigrade, also, it can be adjustable. 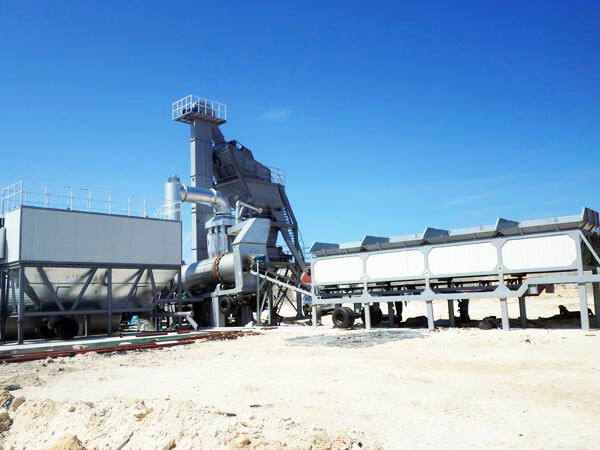 Temperature of finished product produced by portable asphalt batch plant should be 120-160 degree centigrade, sometimes can reach up to 180 degree, also it can be adjustable. Fuel consumption, based on the fuel calorific value equals to 46055kj/kg, and under the working condition. Mixing cycle time is 140-180s, it is also adjustable. 1. The average moisture content is only for surface moisture. 2. Ambient temperature should be 15 degree centigrade. 3. 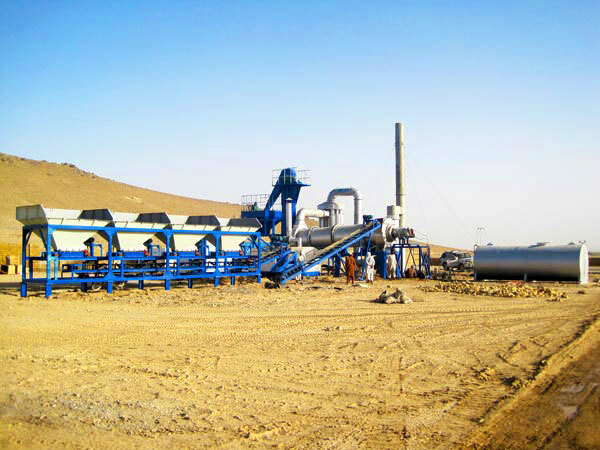 Capacity include filer and bitumen. 4. Aggregate feeding for small asphalt batch plant should be in correct proportion required for mixing specification. 5. The powder density should be 1120kg per cu.m. 6. Altitude should be 150m, which is above sea level. Portable asphalt plant for sale layout is mainly materials storage area, delivery area and mixing area. Don’t worry, our engineer will draw a site plan, and make full use of site and meet the demand of asphalt production. 1. We AIMIX GROUP have technological engineering department, if you choose our small portable asphalt mixing plant, we will send our engineer to you production site, and help you finish the installation and debug. What’s more, AIMIX engineer will train your local operator till he can operate the small asphalt mixing plant normally. 2. We have professional after-sales service department, any problems, you can contact us! We AIMIX GROUP is one of the most professional portable asphalt plant manufacturers in Pakistan, our parent company is located in China, welcome to visit us! 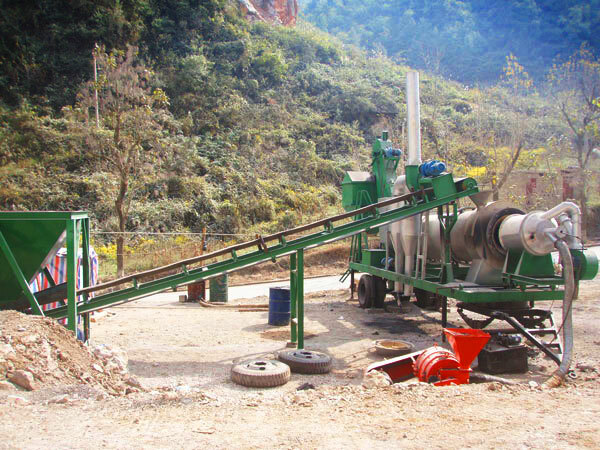 We will provide you with best portable asphalt plant for sale.